Joe Arroyo passed away today..
and his legacy is so amazing that not even in 10 posts we could cover all his vast discography and even less all the influence he did. Joe Arroyo was born in Cartagena. In 1971 he was picked up as a singer for a group which later was to become the most famous salsa group of Colombia – “Fruko y sus tesos”, lead by salsa-magician Julio Ernesto Estrada Rincon(nicknamed Fruko) and thus also became part of the most famous record company in Colombia, Discos Fuentes, which later also were to release a vast number of his solo records. With Fruko he recorded some of the most famous colombian salsa songs in history. This one is my personal favorite colombian salsa EVER!! 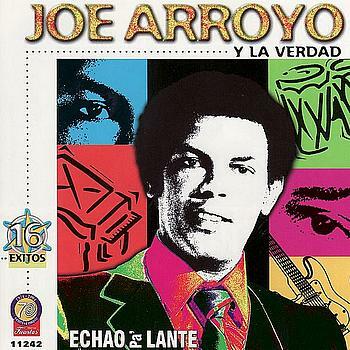 Joe Arroyo made from soukous, to champeta, from salsa, to bullerengue..